An addiction recovery program is a difficult experience for everyone. 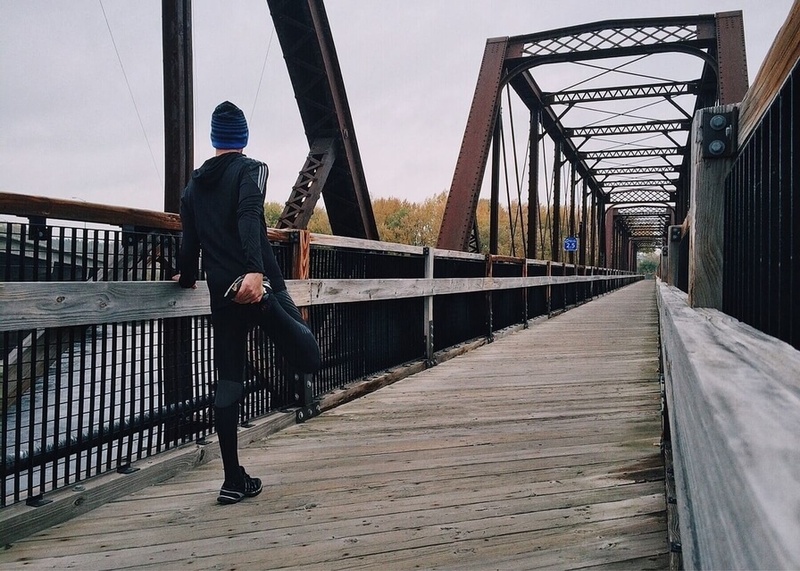 Find out how exercise can help overcome the hardest parts of addiction recovery. Recovery is hard. It’s easy to say that – but hard to live through it. Anyone who goes through recovery faces a difficult journey – but an admirable one. There are many ways to get the help you need during this trying time. Plenty of people have greatly benefited from group counseling, for example. One way that’s vital to not just recovery but day-to-day life is exercise. Let’s break down why you need to make healthy activity a part of your addiction recovery program. You’ll go through a lot of emotions during an addiction recovery program. It’s no surprise that depression hits many people at this time. Depression can act as a “relapse trigger”, and a good barometer of whether or not you will relapse. A great way to combat this is with exercise! It might feel hard to get up off the couch, but it’s so worth it. You don’t have to run a marathon; just try to go for a walk. Your mind is going to go to places you might not want it to go. One of the best ways to keep yourself occupied is to engage in some form of physical activity. If your eye is on the ball, your thoughts will be there too. Keep busy with sports or a fun workout class instead of traveling the same paths your brain has been down before. Addiction manifests as an intense craving for something. It can be an almost physical fight to keep yourself away from whatever you’re addicted to. The reason addiction is so powerful is that it re-wires your brain. Once you get what you are craving, your brain rewards you with a flood of feel-good hormones and chemicals. Your addiction recovery program is there to help you navigate these waters, but exercise can give you the boost you need to push past more difficult times and cravings. The act of physically exerting yourself also releases feel-good brain chemicals. Soon your brain will start rewarding you for going out for an afternoon run in a similar way to when you were using substances. With all that’s going on with trying to get your life back on track, it’s easy to get stressed out. A big part of your addiction recovery program is handling the day-to-day things that will crop up. There’s no denying that all of that brings on anxiety, but exercise is the perfect solution. You can pound the pavement or take a few laps around the pool instead of fretting over every little detail. When you’re working out, you don’t have time for worrying. Remember how we talked about those happy brain chemicals? Not only do they make you feel good, they bring down your cortisol levels, reducing stress from the inside out. Tossing and turning can feel like an unavoidable fact of life when you’re battling addiction. Your usual sleep/wake cycle is disturbed when you’re in the grips of addiction. As such, it can be hard to get back on track. Here, exercise is again, the answer. Even for those not in an addiction recovery program, exercise improves the quality of your sleep. If you pump some iron in the afternoon, your body understands that you’re tired and need time to heal, triggering a deep restful sleep. Bonus: do a nice and easy yoga routine right before bed to get stretched out and relaxed. You might think sleep is a time for rest, but your body does some of its best work while you’re dreaming. Exercise triggers this healing process, too. While your body will always repair itself while you’re asleep, exercise causes a good kind of stress that speeds it up. For example, lifting weights causes micro-tears in your muscles. That’s actually a good thing – it triggers a cascade of healing. Your cells work overtime to make your muscles stronger to handle the new stress. With all of this wonderful healing activity in your body, you’re better able to handle addiction recovery stress. There are many reasons a person falls into substance abuse. Feeling angry is one of those things. When feelings of frustration or anger creep in, reach for your running shoes. Take all of your anger out at the gym. Give a punching bag a few jabs and uppercuts. Listen to heavy metal and pedal it out in a spinning class. Everyone screams and grunts when lifting weights – get your rage on. You’ll feel better – and fitter! – by the end of your session. Just remember to be safe – don’t overexert yourself. Feeling better from the effects of exercise starts from the inside and works it’s way to the outside. You’ll feel tons of confidence when you swap exercise for negative behaviors. It’s not just the way you’ll look either, although that’s definitely a bonus. Maybe you have to put another weight on the bar or you can make it another quarter mile without walking. When you see progress, you’ll feel proud of all that you’ve accomplished, and it will help you get through your addiction recovery program. The foods you eat go hand in hand with your new lifestyle. Make sure you supplement your new activity levels with a healthy diet. Think fish, fruits, and nuts. Steer clear of sugar and caffeine. You’ll see amazing results when you pair a great diet with your new exercise routine. This journey is hard but don’t be too hard on yourself. Exercise can be as simple as a sun salutation in the morning or running a marathon on the weekend. Your body and mind are going places; you’re forming new habits and kicking your addictions to the curb. You’re going to see big positive changes with your outlook on life, your sleep, your endurance, and just your overall health. Plus, you’ll make giant strides in your addiction recovery program. All of these pieces are parts of a puzzle that you’re putting together – the picture of a healthy you. If you’re ready to get on the right track, talk to Muse. Their specialists are highly trained and work with you confidentially to get you back on track. Build up your life by building up your muscles and being part of a great addiction recovery program!